All Praise is due to Allāh, we praise Him, seek His aid and His Forgiveness. We seek refuge in Allāh from the evils of our souls and the evils of our actions. Whomsoever Allāh guides there is none to misguide and whomsoever Allāh misguides there is none to guide. I bear witness that there is none worthy of worship except Allāh, alone, without any partners and I bear witness that Muhammad is His servant and messenger. My brothers and sisters, there’s a hadeeth qudsi collected by Imaam at-Tirmidhi (rahimahullaah) in which Allaah’s Messenger (ﷺ) mentions from Allaah (subhana wa ta’ala) some tremendous words that give hope to the hearts and raise the spirits of a person as it relates to its connection with Allaah (subhana wa ta’ala). Allaah said “O son of Adam, so long as you call upon Me and ask of Me, I shall forgive you for what you have done, and I shall not mind. O son of Adam, were your sins to reach the clouds of the sky and were you then to ask forgiveness of Me, I would forgive you. O son of Adam, were you to come to Me with sins nearly as great as the earth and were you then to face Me, ascribing no partner to Me, I would bring you forgiveness nearly as great as it.” In that there is courage for the hearts and it puts into the souls a desire to turn to Allah and never give up hope, for indeed the believer does not give up hope in Allaah. Shaykh Abdul-‘Aziz ibn Baaz (rahimahullah) said: “The scholars have agreed that this noble ayah was revealed regarding the ones who repented.” So whosoever repented, with a sincere and truthful tawbah then Allaah will forgive all of his sins due to this ayah, likewise where Allaah mentions “O you who believe! Turn to Allah with sincere repentance! It may be that your Lord will remit from you your sins, and admit you into Gardens under which rivers flow (Paradise)” (66:8) Your Lord is oft-forgiving Most Merciful. So turn to Him which requires you make dhikr of Him. How can you seek forgiveness and become repentant with regard to your shortcomings and your acts of disobedience except by making dhikr of Allaah (mentioning Him). The more you mention Him the closer you get to Him and the closer you get to Allaah the further He will take you away from that which will cause you destruction by sinning and transgression. Be constant in dhikr and seeking forgiveness and do not despair at the mercy of Allaah because our Lord is forgiving, merciful and He will continue to forgive you as long as you turn to Him upon tawheed. 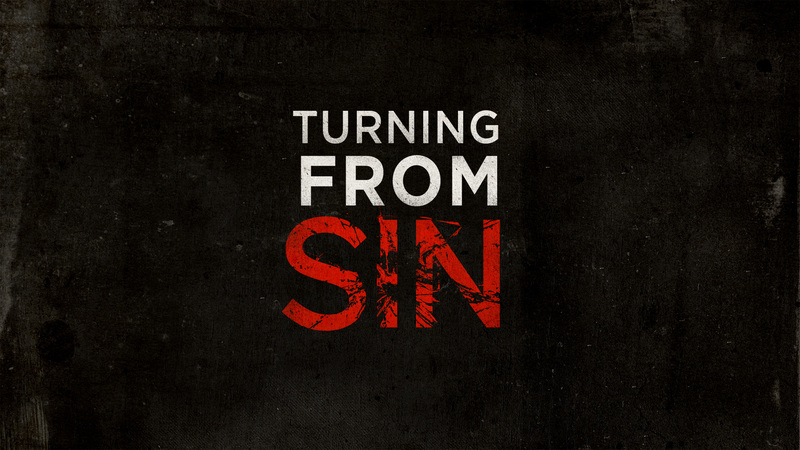 First and foremost, leaving the sin. When you realise that you are guilty of doing an action knowing it to be haraam (forbidden), you must leave it, stop doing it. Secondly: you should feel regret because you have disobeyed your Lord and committed a sin. Thirdly: seek forgiveness from Allaah (subhaana wa ta’aala). Fourthly: resolve never to return back to the sin. Fifthly: if you have taken someone’s right (property or honour), you must return it or recompense it. Shaykh-ul Islaam Ibn Taymiyyah said (in meaning): Istighfaar is when a person commits a sin and says: O Allaah forgive me. In this he may not resolve to stop the sin but still asks Allaah for forgiveness, sincerely. In this situation, is the person forgiven? There is no doubt that there is no barrier between a person seeking Allaah’s forgiveness and Allaah forgiving him. But it does not necessitate that he has entered into the arena of repentance because repentance and forgiveness are two things. Forgiveness enters into repentance because one of the stages of repentance is seeking forgiveness. But repentance is higher and more complete. And Allaah says: “And all of you beg Allah to forgive you all, O believers, that you may be successful.” (24:31). Shaykh Abdul-aziz ibn Baaz says about this Aayah: “In this ayah, Allaah has connected success with tawbah.” So, the one that has repented is successful and happy, follows-up his tawbah with eemaan and righteousness, changing his life in order to not fall back on the sins he repented from. My brothers and sisters, Ramadhaan may have come to an end but your salaah and ibaadah doesn’t come to an end. It’s like saying ‘when such and such months ends, I’ll stop breathing’. You can’t stop your ibaadah now that Ramadhaan has ended – because ibaadah runs through the veins of the Muslim. If we are not making ibaadah, we don’t feel comfortable rather we feel agitated, depressed and sad because ibaadah awakens the souls. Turn to Allaah, do not become negligent and encourage your family and neighbours, most importantly be upright yourselves. BaarakaAllaahu Feekum, We ask Allaah to grant us success to worship Him, and obey Him as He deserves – we ask Him to forgive us and show us His mercy and enter us in to the eternal Gardens of Paradise and protect us from His punishment. And all praise is due to Allaah, the Lord of the worlds. Umm Sufyaan al Albaaniyah, may Allaah reward her.